The way that the discerning landlord of your favourite pub or bar keeps the beer that they serve to you in pristine condition when he pours it from the beer font into the glass, is achieved by keeping the serving lines and equipment meticulously clean. To enjoy a perfect smoke through your bong, you should ensure that this is clean and free from unwanted contamination, and to keep the smoking equipment just as clean as the day when you first used it. With the help of ROOR cleaning solution it is a very simple thing to do. The solution is made to the same exacting standards as the ROOR high-end premium borosilicate glass bongs. We always recommend that you clean your glass pieces as soon as you can after each smoking session; this is because the ROOR Cleaning Solution is so simple and effective and it’s not a task which any of us would put off for another day. Just pour out the water from the Bong, then preferably rinse this out with very hot water and pour in the ROOR Cleaning Solution. Leave for around ten minutes or so and then thoroughly rinse out until there is no smell of solution in the bong and it is ready for the next cool smoke. 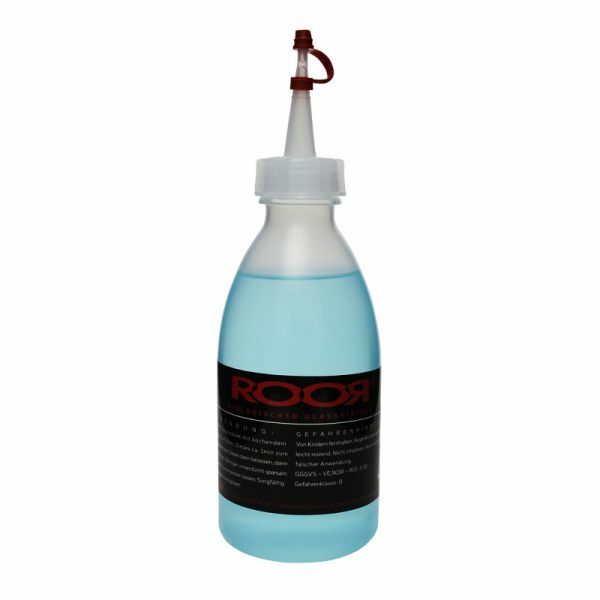 The ROOR Cleaning Solution has been designed to clean your glassware without the need of a brush. This helps to prevent the brush from scratching the glass and in the long run making your bong last for longer. Just a simple word of precaution here, as with any cleaning solutions, please ensure that your ROOR Cleaning Solution is stored in a safe place out of the reach of children and that you do not swallow or allow contact with the skin or eyes. Keeping your bongs and pipes clean and properly maintained is key to getting the most out of them and Dr Green Bong & Pipe Cleaner is perfect for the job. It does not contain any nasty chemicals either, making it a great choice for those who want to be environmentally friendly. Dr Green Bong & Pipe Cleaner can be used to clean all types of pipes and bongs, including glass, ceramics, metal and plastic, effortlessly cleaning away any unwanted residue and debris. For best results we recommend that you use regularly and for stubborn stains use hot water and allow to soak for a while. To help keep your bongs and pipes clean we also recommend cleaning brushes which are specially designed to get into all the nooks and crannies. Dr Green Bong & Pipe Cleaner is available now for just £4.25. We’ve all seen the adverts on the TV or read about being ‘Nose Blind’ where the gradual accumulation of smells in one’s home become unnoticeable, but other people can smell it. To set your mind at rest and leave your rooms smelling fresh and revitalised we advise using Limpuro DLX Pure Odour Eliminator. This 200g tub is specially designed to provide your room with a beautiful scent which lasts for up to 6 weeks and is effective against cooking smells, smoke and tobacco, pet smells and other odours, leaving you home with a fresh clean smell. It is natural and chemical-free odour neutraliser which works by evaporation and is simple to use. To add freshness to any room simply open the jar, place it somewhere in the room and let Limpuro DLX Pure Odour Eliminator do the job for you, there is no spraying or reapplying, easy! 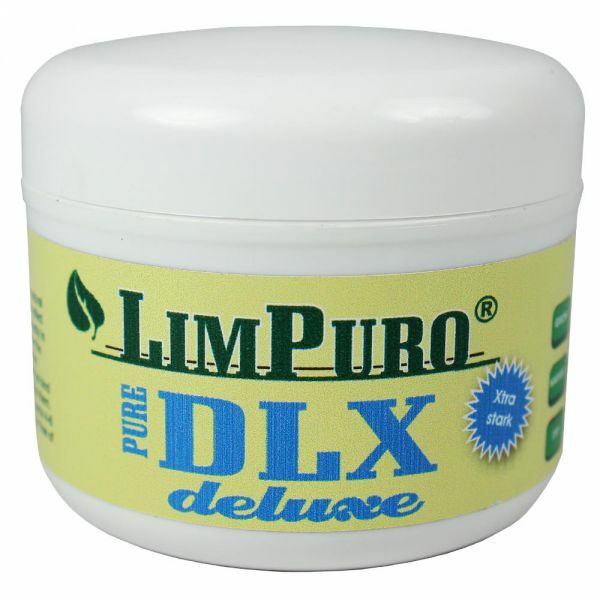 Limpuro DLX Pure Odour Eliminator is available now for £9.99 per tub. Even though we may smoke, there comes a time when curtains and furniture fabric becomes tainted with odour from not only cigarettes and pipes, but also from cooking smells, and pets too. Previously curtains had to be washed or taken to the dry cleaners, but today, with the help of LimPuro Air Fresh Orange Odour Eliminator, unpleasant smells can be easily and quickly eliminated. 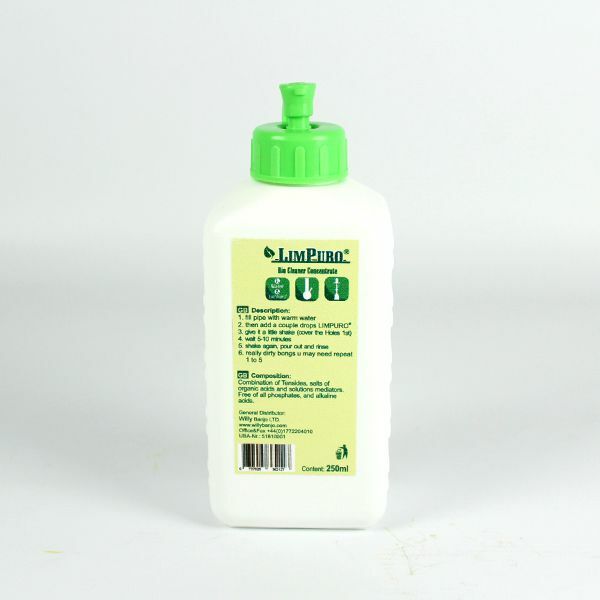 The active ingredients in LimPuro Air Fresh bind the odour molecules and neutralise them quickly and very effectively. The product is a natural and completely non-toxic odour neutraliser that works by simply spraying into the air, or for problem areas, directly onto fabrics. LimPuro Air Fresh Orange Odour Eliminator is a non-toxic odour neutraliser that will give a clean and smooth fragrance to your fabrics, as well as the air to the room. Using the product is easy; simply spray 5 to 7 times into the air at a recommended 20cm distance from any fabric. If working with a problematic area, apply a second layer to it. Buying this product will ensure that you are using a product which is made of water, denaturised alcohol, vegetable oils and natural scents; absolutely guaranteed to eliminate the toughest smells in a very eco-friendly way; no problem when Great Aunt Matilda, who strongly disapproves of your smoking pleasure, drops in to see you! This is just one of the LimPuro products available at our website to ensure that our smoking accessories are kept in first class condition. When it comes to maintenance, most of us would admit that it is a task that we often put off, but one item that should never be overlooked is the quite simple job of cleaning your bong. Serious smokers will confirm that that you need to clean your bong regularly in order to truly be enjoyed. 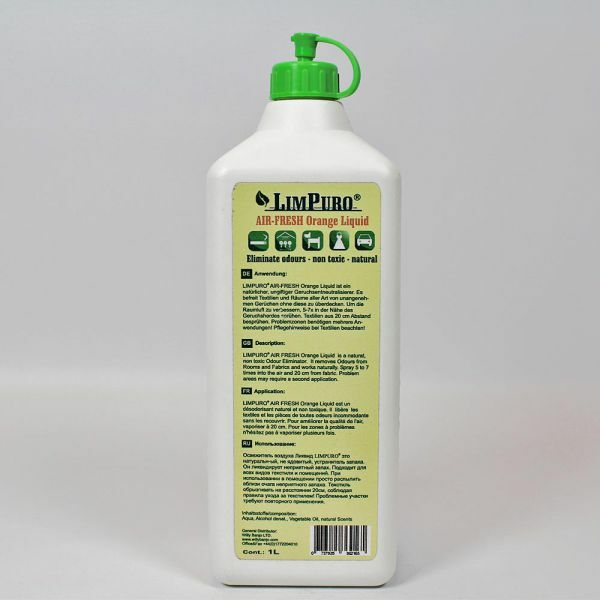 To do this is now very easy and cleaning your bong, pipe or hookah takes only a few minutes by using LimPuro Bio Cleaner Concentrate. This is a cleaning concentrate made entirely without harsh chemicals, so the taste and flavour of your favourite smoking mixture will not be impaired. Guaranteed to be free from phosphates and alkaline acids, easy to use and not expensive, takes just about ten minutes, so what could be easier? Just fill the pipe with warm water, add to this a few drops of the LimPuro cleaning fluid, shake the piece, being very careful to cover the holes of course, wait around five or ten minutes depending on how dirty it is, give it another shake and then pour out the dirty water. If it has become really dirty you may have to repeat the process. When should a bong, pipe or hookah be cleaned is hard to say, much depends upon its use of course, many believe that it should be cleaned daily, once or twice a week or even never, the last one is hardly an option is it, we can only imagine how it would taste though! Keeping your favourite bong in pristine condition with the glass sparkling is not always easy and this is particularly so as most of our drinking water contains lime deposits and this can mean that the surface of the glass becomes dull and dirty looking. Cleaning has been made very easy thanks to the ROOR anti lime solution, just empty the dirty water from the bong and then rinse out with hot, preferably boiling water and pour in the ROOR Anti-Lime Bong Cleaning Solution, We recommend that you leave it to soak for no less than ten minutes, followed by a thorough rinsing with hot water again. We suggest that the best way to keep your bong looking like new at all times is to clean it out after each smoking session, this way it will clean easily, remember the old saying: “one layer of dirt is easier to remove than many” the same applies to your smoking devices. We do not recommend using brushes to clean your favourite glass piece as over vigorous brushing can lead to minute scratching of the surface. The solution comes in a 250ml bottle; this is enough to get a good few cleaning sessions of your favourite smoking piece. Whether you smoke a pipe, bong or vaporiser it is important to keep your smoking paraphernalia clean and in tip top shape. 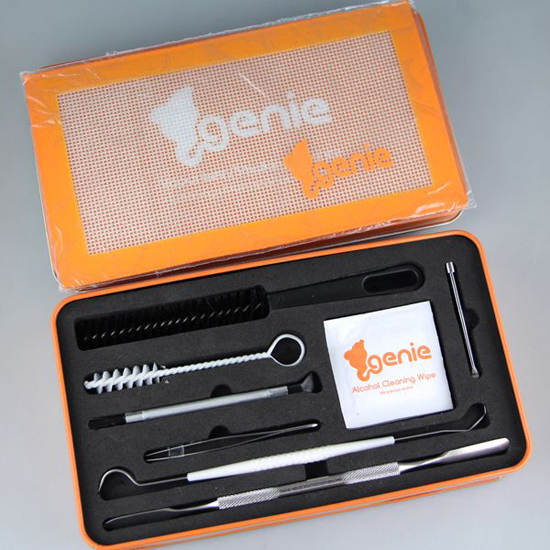 The Genie Vaporizer/Smoking Tool Kit is a perfect kit to use to clean and maintain your smoking items and comes full of handy tools that’ll have them sparkling in no time. The kit comes complete with a handy storage box to keep all of the tool safe and secure. The Genie Vaporizer/Smoking Tool Kit is available now for just £34.99 and really is an essential piece of kit to ensure that you have the best smoking experience. You have spent some of your hard earned cash buying a quality bong and keeping it clean not only keeps it looking good, but it will certainly ensure that you get a clean smoke when used. The easiest way to keep your bong in sparkling condition is to use a good quality cleaning solution and just a few drops of our ultra-concentrated bong cleaner is all that is needed to leave your bong sparkling clean. 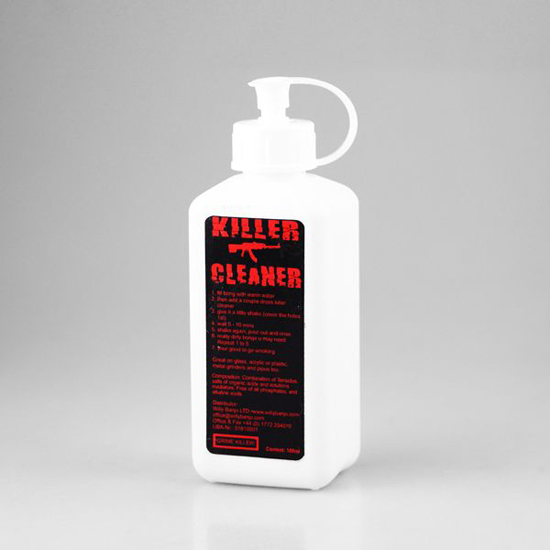 We guarantee that Killer Cleaner Concentrated Bong Cleaner with keep glass acrylic and even plastic bongs looking like new, it is also great for using on metal and plastic grinders, shisha pipes too, in fact all the stuff you have for smoking. All that you need to do is to add a few drops of ‘Killer Cleaner’ to some warm water and any smoking item is simply left to soak and the rinsed clean afterwards. The action of the solution loosens built up grime and residue, a really easy way to keep your bong or other smoking item sparkling. How often you clean your bong will depend to a large degree on how often it is used, but by using this bong cleaner it is very easy to clean after each session. Your bong, like any piece of apparatus has to be kept clean and i good working order if it is to function at its best. You will have noticed over a period of use that the bong will become slightly discoloured and when it is you will not be getting that pure cool smoke. The most straight forward way to bring your bong back to pristine condition and looking like new is to use one of the many specialist cleaning products. We feature a number of bong cleaners that have been specially developed for this task and to help with the cleaning process we suggest that you look at our range of cleaning brushes. These have again been selected in a range of sizes that will match any bongs or pipes. 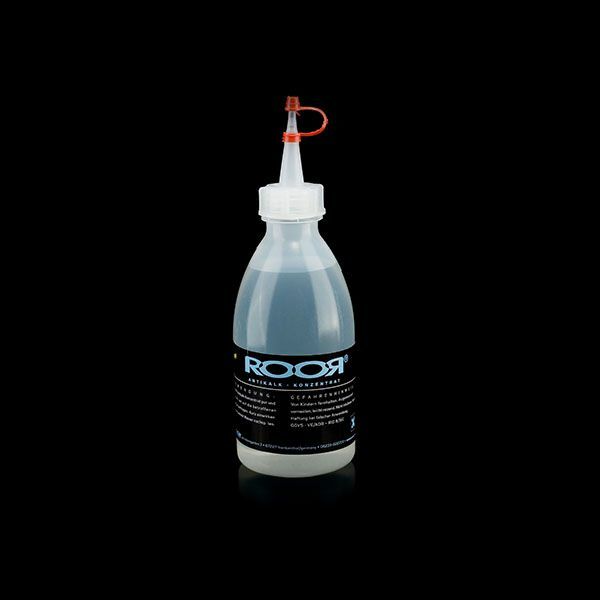 One of our most popular and simple to use bong cleaner is the No. 1 bong cleaner and it is really easy to use. Simply spray a small amount of the cleaner onto the surface, leave for a while to soak and do its job and then rinse and dry your bong. When you have completed this, your bong will look as good as the day that you bought it and the Number 1 cleaners is safe to use on acrylics, vinyl, aluminium and glass it is non-toxic and will not leave any residue or affect the taste.